Technological developments have made it easier, faster and cheaper to launch a satellite, and have enhanced the capabilities of the sensors onboard. This has led to an ever-increasing quantity of available data. Also, there is recognition within the space industry that it’s no longer enough to launch something into orbit, the satellite customers need to also see how they’ll get value from the data it collects. Research & Development – Developing innovative techniques by applying new research methodologies, such as our product that measures water heights from space using altimetry data. Repurposing – Using data for more purposes than originally intended, as is happening in the US where they are using ocean colour techniques for inland waters. 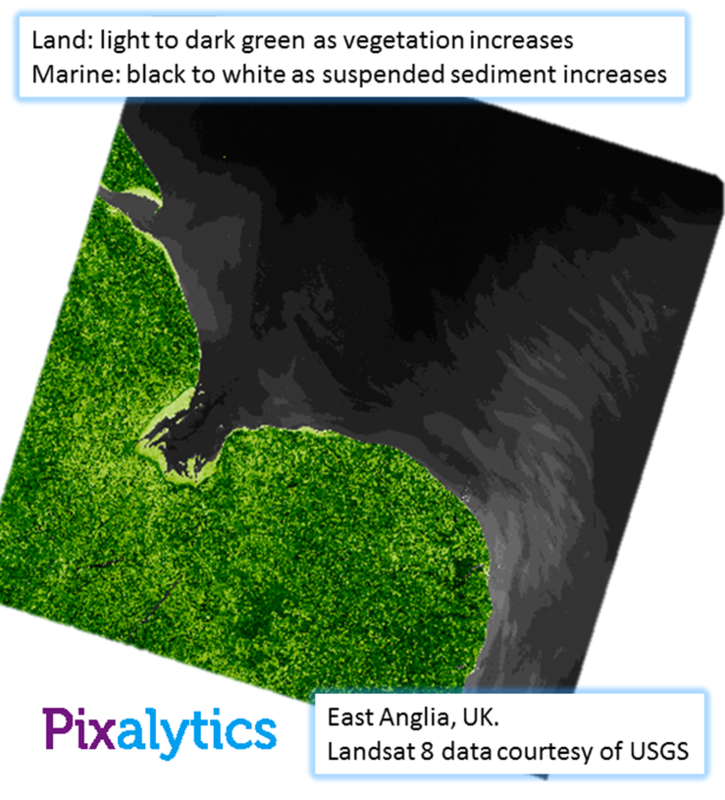 Merging Data Sets – Using remote sensing data combined with scientific, government or other open source data to produce more than is possible with just one data type. 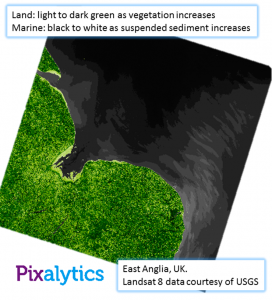 Expanding Markets – Getting people who don’t use remote sensing to think about how they could use it within their businesses and organisations. Blended Solutions – Developing automated processing for data extraction and downloading, which provides visualisation solutions whenever and wherever data is needed. If you are at GEO Business on Thursday 28th May, our workshop will be taking place just before lunch at 12.30pm in Room F and it would be great to see you there. Talking of GEO Business, we had a great response to last week’s blog on the things we’d learnt so far preparing for our first exhibition. We had a number of suggestions on how to measure success, which was the one thing we said we didn’t know last week! Interestingly, Elaine Ball Technical Marketing are running a Twitter chat on Thursday at 4pm relating to GEO Business, and one of their questions is looking at this issue of success. It will be good to see more thoughts on the topic. We also got a lot of advice about exhibiting. The idea of taking a duster along was something we’ve have never thought of, but it seems so obvious when you think about it. The ‘rules’ of running a stand that people sent in made great reading; ensuring we don’t start working on the laptop and phones will be something we’ll have to be vigilant of! Our stand kit is coming together, although we’re still holding our breath over a couple of promised deliveries. How the construction of the stand will come together is shrouded in a little mystery for us, but it will certainly make next Tuesday entertaining. If any blog readers are around the Business Design Centre next Wednesday and Thursday, please come up and say hello, we’d love to meet you; and you will have the chance to win the free prize raffle we’ll be running on the stand. Hope to see you next week! This entry was posted in Business Innovation, Data, Earth Observation, Micro Business, Remote Sensing, Research, Space Can Help, Space Industry, Understanding Space and tagged adding value to remote sensing, Earth Observation, Exhibition, Exhibitor, GEO Business 2015, pixalytics, remote sensing, satellite, science, scientific research, space industr, workshop by Andy. Bookmark the permalink.